As a restaurant owner, there will always be a long list of ongoing responsibilities. Local, independently owned restaurants have even more responsibilities than chain restaurants, because the locally owned independent does not have the benefit of a corporate office and commissary to handle all of the back-end operations. A locally owned independent restaurant simply has a longer list of responsibilities. This is why most successful operators work 60 – 80 hours per week. At the top of the list is always food cost, liquor cost and labor costs, as well as important details such as food quality and customer service. Not to mention, employee issues and procedural issues. With so many responsibilities, it’s important to consider working with other local partners to help complete important tasks efficiently. So, what is a major responsibility that can be removed from your list and managed by a local partner? Managing the restaurant’s dishwasher, warewashing, cleaning chemicals and sanitizing programs. 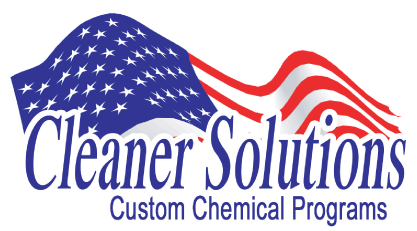 Cleaning and sanitizing equipment and chemicals are extremely important, however, they generally fall lower on a priority list. By hiring a local partner such as Cleaner Solutions to oversee this area, owners can be confident that their employees have all the right products, equipment and will always be on budget. So, what should you expect from a local commercial dishwasher and cleaning chemical partner? Manages Employees – We work directly with the restaurant staff. Building relationships with staff can lead to direct communication between the partner and staff about proper chemical and dish machine uses as well as issues that arise, which eliminates the time an owner has to spend worrying about the dish machine and cleaning solutions. Manages Chemical Inventory – Keeping chemicals up to par is time consuming and critical to maintaining a clean restaurant, which is why it’s an important task that should be handled by a partner. The restaurateur never has to order the product. Delivers and Puts Away Stock – Having materials delivered and put away on the proper shelves will save time as the restaurant staff will not need to sign for deliveries or put the stock away. Owners will also be assured that the stock is always put away in the correct location. Maintains the Dishwasher – Ongoing evaluation and proper cleaning of the dish machine is very important to help eliminate equipment issues and ensure the pots, pans and dishes are cleaned effectively. Offers Flat Rate Pricing – With our Whole House Plan, we offer guaranteed flat rate pricing. This means that you always pay the same price. You are always on budget. Guarantees No Price Increases for 1 Year – We review our accounts and pricing annually. You are guaranteed not to see a price increase more than once per year. There is no need to constantly check prices. Controls Chemical Usage Spikes – When your chemical usage spikes up you will not pay extra. We work directly with the staff to find the cause of the increase and we control it. Finding a partner who can take care of all the issues related to dishwashers and cleaning chemicals while keeping you on budget will take a very important task off your long list of responsibilities. Ultimately, this will allow for more time to focus on other restaurant related responsibilities that can’t be handled by an outside partner.